Therapeutic actions: The drug acts on the surface of bubbles by reducing the surface tension and thereby disrupting or breaking the bubble. Indications: Simethicone is used to relieve painful pressure that is caused by excess gas in the stomach and intestines. This gas may occur in many circumstances, including air swallowing, indigestion, ulcers, irritable bowel syndrome, diverticulosis, and after surgery. You may not be able to take simethicone or you may need special monitoring during treatment if you have any of the conditions listed above. Adverse effects: No side effects are known to be associated with the use of simethicone. Talk to your doctor if you experience any unusual or bothersome side effects. 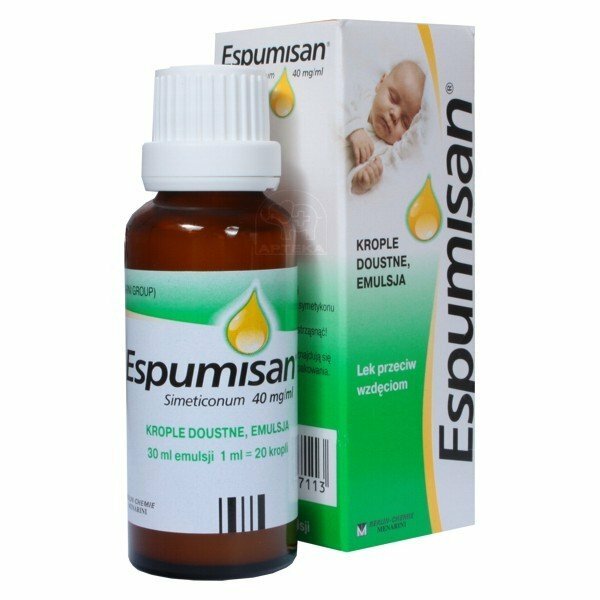 Interactions: Tell your doctor or pharmacist what medicines you are already taking, including those bought without a prescription and herbal medicines, before you start treatment with espumisan.